Originally Submitted to FurAffinity.net on Apr 25th, 2014 09:21 PM. Before it was transferred to Inkbunny it had 204 views and 26 favorites. This is something I drew a while ago as a quick sketch that, later, gained some dust. 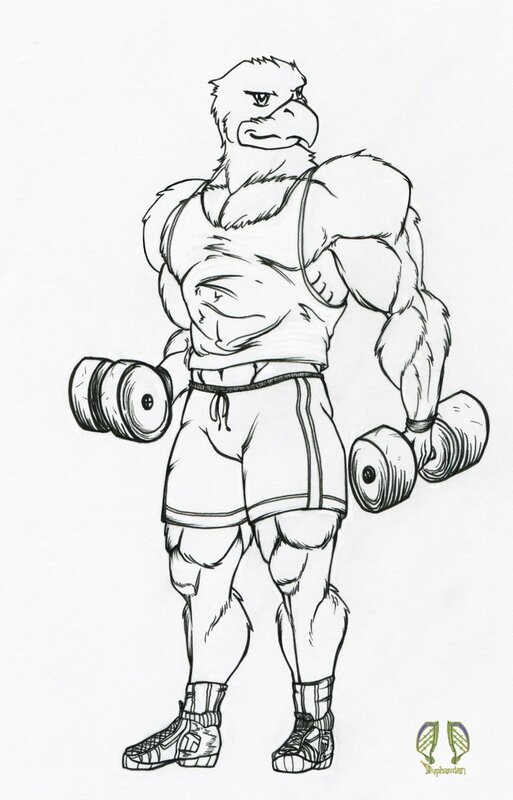 I then finally got around to ink the picture, scanned it, and left it again for a bit more. LOL. I then finaly cleaned it up digitally and altered it a bit. The original had shoulders that were far too large. To some extent they are still too large, but they are now more believable than before. The character is not my fursona. My fursona looks much more handsome and has a better body. ^\/^.